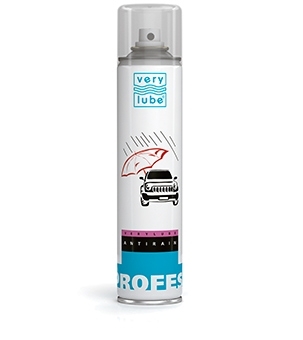 Spray designed to improve water-resistant properties of windshields surfaces. Creates a thin hydrophobic film on the glass. After treatment the water drops do not spread on the glass, but quickly run down improving visi¬bility. Increases significantly the glass limiting wetting angle. Improves visibility during rain or sleet. Indispensable if windshield wipers are out of order. 1. Use in dry weather. 3. Spray ANTIRAIN onto the clean dry external surface of the windshield, mirrors and lights. 4. Polish glass with a cloth. Recommended for regular use (once per 3-4 weeks).